How quickly has September come around!? I can't believe I have just taken my now not so little boy in to school for his first day of Year 2. Its so scary to think how quickly time goes, I can still remember taking him in for his first day in reception. How time flies. Despite a school change at the end of the last school year James has taken starting back in his stride as always. He was so looking forward to seeing all his friends he didn't even seem phased by the change of class, teachers and school. As the bell rang and I waved him off in to his new classroom he sprinted off book bag in hand and pe bag dragging behind him so eager to start. I am so incredible proud of him and how he handles situations. I am one of those people who can struggle to adapt to anything new to I am totally in awe of this little boy who doesn't let anything phase him and takes it all in his stride. James has been pretty eager to get back to school, not because he doesn't want to be with us (I hope!) but because he loves being in school. 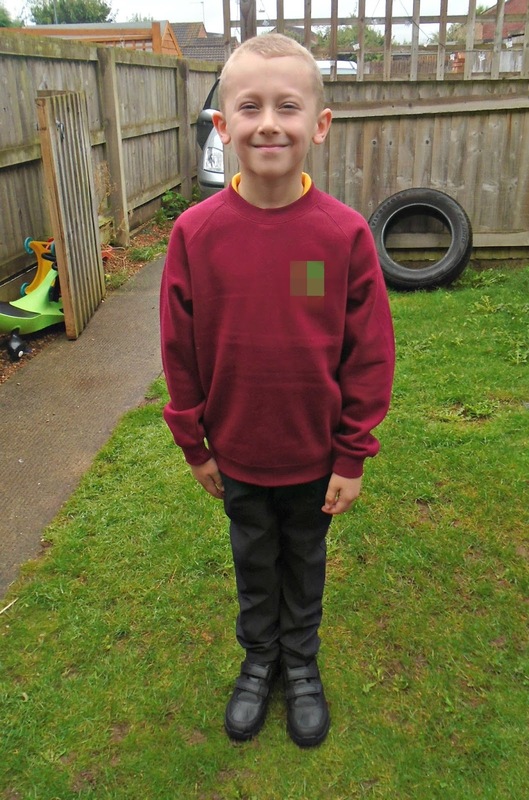 He loves being busy, learning and socialising so the school environment in one he loves. If you ask him what he wants to do on an evening you can often find him writing in his work works or asking us to write him out some math questions for him to solve. I can only hope his love of learning continues! I know today would have been a big day for lots of you too, a day when your babies become school children and it is always a pretty emotional day. I hope that all those of you with children who are heading back settle quickly and for those with children who are new starters, I hope drop off went smoothly and your children return home full of exciting stories about their first day.